What are the most important jobs at a company? Chief Executive Officer? Chief Operating Officer? Chief Financial Officer? Of course, all these are true. But no company job has as much direct contact with the lifeblood of its business — customers, as customer service. Why? Because it’s the first point of contact a customer has with a company. As a customer service representative, you have several roles to play: help callers in whatever way they need, assist them to make well-informed decisions and build customer loyalty. 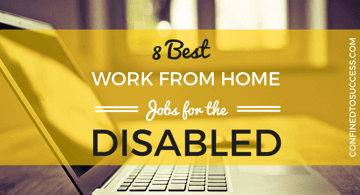 All this is done over the phone or through internet chat which means you can work from anywhere including home — a perfect setup if you're disabled! Now, there are plenty of customer service jobs for the disabled available but you wouldn't know it just looking at popular job websites. While these can work, there are better ways to find a good job and I point them out in this post. But first let's make sure customer service is the right kind of job for you, so let's start with a discussion about skills. HOW DO YOU HELP CALLERS? 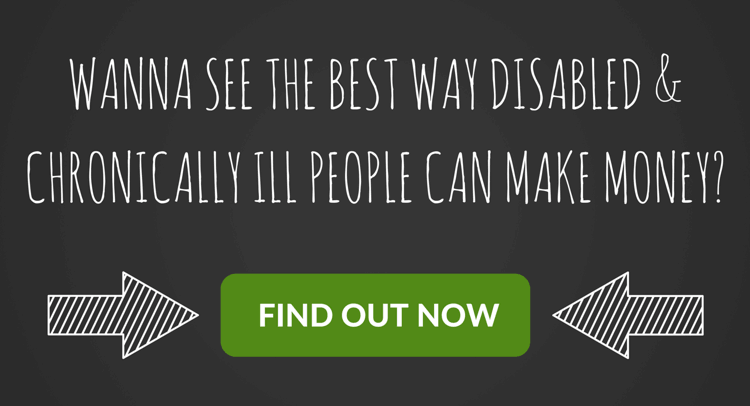 LOOKING FOR MORE DISABILITY-FRIENDLY JOBS? While you don't need a college degree or any higher education to become a customer service representative, a little bit of experience goes a long way. Even working in retail where you're dealing with customers on a regular basis can help. But if you're brand new at this, don't worry — most companies prepare you for the job with free training programs that last a few days to a couple of weeks. People-person – You enjoy talking to people and feel a sense of reward helping them out. Professional – You can keep your cool and remain polite and non-confrontational when dealing with upset callers. 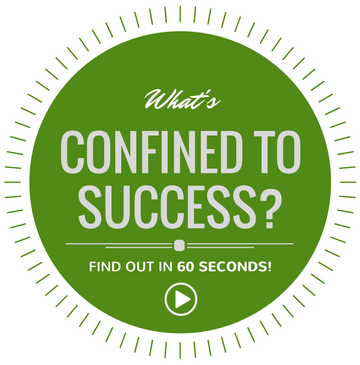 Problem Solver – You're able to think outside the box to arrive at answers. Multi-Tasker – You're able to juggle several tasks at once — listening, talking, and empathizing with callers while looking up information to answer questions and documenting calls accurately. Dedication – You're able to focus on the job for long stretches of time. That means no texting, munching, cleaning or any other distractions! It's broken! Can you send me a new one? Why wasn't the discount applied to my order? Can you recommend something more within my price range? As mentioned, your employer will train you to answer questions like these confidently. Desktop or Laptop Computer – Many customer service systems aren't compatible with Macs so make sure you have a Windows machine. High-Speed Internet Access – You don't want your internet connection going down in the middle of a call so make sure your service is reliable. Corded Landline Phone – Cordless landline phones and cell/smartphones are absolute no-no's — they drop out more often than corded landline phones and their reception isn't always clear. Corded Headset – Wearing a headset frees up your hands to type during calls. You want one that plugs directly into a corded landline phone such as this be﻿st seller. Quiet Environment – While not "equipment" per se, none of the other stuff matters if you don't have a space to work in where you won't be disturbed. Background noise of any kind is considered highly unprofessional. While there are plenty of customer service positions available in most industries, only a few companies and organizations cater to disabled individuals specifically. Now, that's not to say these other jobs aren't worth applying to but you may have to l﻿﻿ook harder to find something. * Social Security program that helps get the disabled off benefits and back into the workforce. If you'd like to make a career out of customer service, apply to become a Concentrix employee or set up your own business with the help of LiveOps. If neither of these two options appeals to you, apply to a job through one of the other job websites listed above. Getting a job in customer service is a great way for the disabled to re-enter the workforce, not to mention a reliable way to supplement disability benefits. But it's stressful having to be on top of your game every day, dealing with difficult customers. 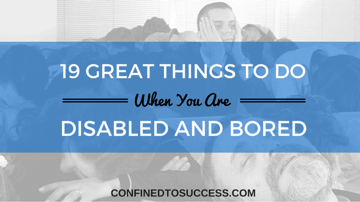 And it's especially hard when you're not feeling well or in pain as a result of a disability. There are ways to earn money that aren't as nerve-wracking but still allow you to work from home, such as affiliate marketing. If answering dozens of phone calls per day to make a buck isn't your idea of fun, let me show you an awesome alternative! Have you ever worked a job helping customers? What was your experience like? Leave your comments below! I thought your article was really interesting as I realized what a perfect job customer service can be for someone with a disability. It doesn’t involve standing for long periods of time, and most employees will provide specially adapted chairs and office furniture to assist someone with a disability. Do employers specifically advertise vacancies with disabled people in mind or are employers now more open to employing individuals with disabilities? Hi Daniel, there are some employers who specifically look to hire disabled folks for customer service jobs, which I’ve listed in this post. As a disabled dialysis patient for 11 years, I read your article with great interest. While customer service is one good way to go, I happened to stumble upon Wealthy Affiliate which has served me well. Since then I am eagerly rebuilding my new life. 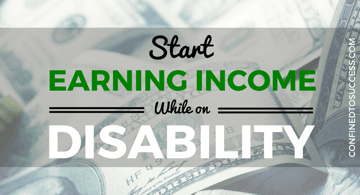 Yes, as you have also mentioned, affiliate marketing is an alternative way for us disabled stay-at-homes. The Internet is an awesome platform that opens up so many new opportunities for us disabled folks. Your article is well written and inspired me so much. Stephan, your post is inspiring and I appreciate reading all the ways to earn an income. I suffer from osteo-arthritis among other chronic back issues. No injury… just kind of started happening to me as early as 19 and progressed. Now I can’t wear a suit without being in incredible pain. It further pains me to think customer service jobs might be my only option as things worsen until the FDA approves cartilage repair/replacement techniques. That said, I DO like your affiliate marketing idea and I will check out your recommendations! Thank you. Thank you Stephan for the guide to help the less fortunate. A lot of people might not be born disabled but became so after an unfortunate incident and then lost the courage to carry on. They must understand that all hope is not lost and by providing them something useful to do, like what you mentioned, customer service. It brings meaning to them and give them a stronger reason to go on. And being able to solve problems for customers, this would make the person feel more helpful and meaningful. Great tip and guide for becoming a customer service personnel! Thanks for your encouraging words Leo! You certainly give your readers a lot of good information for customer service work. I have a family member in this situation and I see how hard it is looking for work while disabled. Well, she is not totally disabled but she does have difficulty finding any type of work outside the house. You are correct in regards to needing extra skills. Being able to deal with a variety of individuals and their problems is a big deal when working in the customer service industry. I will pass this along to my family member. A great article for people like myself who have a mental disability. Of course it cannot be seen which was actually not a good thing when I was part of the work force within a government department. This is simply because people didn’t know I was disabled and managers and line-managers were not allowed to discriminate by telling my fellow workers I was disabled. It can become quite tiresome having to explain nearly every day what you could and couldn’t do. I actually used to take over the reception desk during lunch breaks for the regular receptionist and therefore, first point of contact. I have to add that I enjoyed this and became so good at it I was asked to step in on a regular basis. You could say I found my niche. I am retired now but still work from home with my computer. I’m quite successful and earn way more than I did in my ‘Normal’ job. I really like your site, it’s a great idea to provide job ideas to those who are home bound! Customer service jobs for the disabled are great options to explore. As you point out, you only need a phone and internet connection to get going. In the UK I know companies like Virgin media outsource a lot of their customer services for home based self-employed people. The sites you recommend you could, are they purely for the disabled or are they open to those who are homebound as well? Hi Nate, thanks for commenting! Apart from the two government-sponsored sites I mention, the others are open to anyone! Clear communication: written, yes. Spoken, yes if I’ve prepared myself. Pleasant voice: I’m not sure. Maybe I would be good as customer service person who was behind the scenes, like someone who could answer emails, that kind of thing. What do you think? Hi Marcus, great to see you here! Yes, answering emails is certainly another type of customer service if you’re not good with multi-tasking, it’s also good option for those with social anxiety too. Hi, Stephan. I enjoyed reading your post. There are so many options for people who can’t get out to work to be able to earn incomes, help support their families, and feel like they are still a part of society. I blog about WAH jobs and have covered this topic as well. I’m so thankful to technology for helping change the face of the workplace. Thank you for such thorough research. Hello Stephan, I really enjoyed your post, it is awesome! I think anyone interested in helping others should consider a customer service job. I did 25 years in the USPS, beginning as a clerk, then promoted to a Postmaster. I am now disabled and did not realize there was so much help for us out there. Thank you for a most helpful post. I have bookmarked your site so I can return as you add more information. Hi Linda, thanks for your lovely comment – I guess you’d certainly know about customer service with all your experience! Glad I was able to make you aware of some new information!